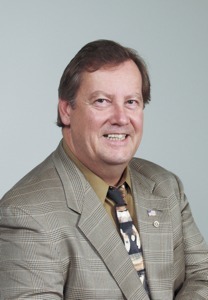 Les Davis founded Lithtex Printing Solutions in 1973. Since then, he has grown the operation and built a new state of the art facility in Hillsboro that not only prints but offers business solutions and fulfillment to an impressive list of award winning customers. Les and his team of 60 employees are the leading innovator of business printing solutions in Oregon. Through Lithtex Printing, Davis has provided in-kind support for the Hillsboro Community Foundation and its signature project, the Glenn and Viola Walters Cultural Arts Center. His generous in-kind contributions have also benefited the Greater Hillsboro Area Chamber of Commerce, local Rotary clubs, the Hillsboro Library Foundation and the Make a Wish Foundation, among others. Les and his wife Pamm have lived in the Hillsboro area since 1964. He has four children, all graduates of Hillsboro High Schools and Oregon colleges; and five grandchildren enrolled in local schools.